The extensive portfolio of homes in Belek easily entices many foreigners and Turks to move permanently to the region. As Turkey’s golfing capital, its reputation stems around the sport but once arriving, prospective buyers find out there is much more to do and see, once you come off the world championship golf courses. Indeed, the region’s wide range of activities also attracts buy-to-let investors who want to capitalise on Belek’s golfing fame while also promoting the coastal resort as an ideal beach holiday destination. It has proved it can easily match the likes of other golfing destinations like Spain and Portugal, as seen in famous players like Tiger Woods, who practised their swing. Alongside this, the beaches, spa, and wellness facilities also make it a place worth visiting but putting leisure activities aside, what can real estate buyers expect from their bricks and mortar investment? Well, plenty of choice for starters. From one-bedroom apartments to large, luxury mansions, most homes feature original architecture fitting in perfectly with the landscape planning. The resort accommodates everyone from budget to luxury buyers and whether you want a private swimming pool, landscaped gardens, en-suite bathrooms or your very own gym and sauna, you’ll find it in Belek. Here’s a brief look at our top three favourite properties, but you can also see the full portfolio of homes on the market here. If smart, stylish but low maintenance apartment living is what you are after, this new modern complex is worth viewing. The homes are also in the heart of the action, just 100 metres from the town centre, and all facilities including transport links, bars, restaurants, banks, and shops, while golf courses and the local beach are a short drive away. The complex keeps in line with urban planning standards by adhering to low rise building restrictions and buyers can choose from 2-bedroom ground floor apartments or 4-bedroom duplex homes. All owners will pay a monthly apartment maintenance fee and this contributes towards on-site security, landscaped gardens, a communal swimming pool, and shared pergola terrace leaving owners free to soak up the sunshine and practise their swings. This property offers stunning landscape views of the Taurus mountain range but the jewel in the crown is the large range of on-site facilities and a rental guarantee, making this home perfect for someone who wants a buy-to-let income. Sitting on a large private complex, with two communal swimming pools, other ways for holidaymakers to spend their time include a sauna, Turkish bath, fitness centre, tennis courts, and 24 hours reception and security services. Within walking distance to the nearest beach, and the much-famed Land of Legends theme park, this luxury three storey villa with a private swimming pool is not only stylish and modern but spacious, therefore also doubling up as the perfect family home. This gorgeous, private home emphasises an outdoor lifestyle with Mediterranean terraces for alfresco dining, and a large private swimming pool. 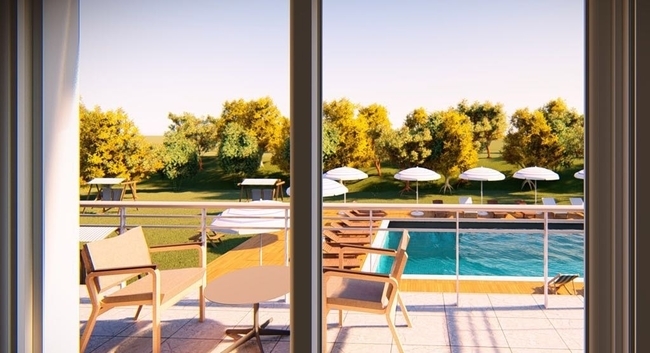 Sitting in between Belek town centre and Kadriye village, many golfing buyers choose this area for its proximity to the championship golf courses. This villa would also suit green finger buyers thanks to the gorgeous gardens bursting with much flora like palm trees, bougainvillaea, and other Mediterranean plants. Selling furnished with white goods and air conditioning, all the buyer has to do after signing on the dotted line is to pack their suitcases. Download our Turkish property app on iTunes or Google Play to make your search even easier. With up-to-date listing of homes in Belek that are currently on the market, as well as information about the Turkish real estate market, finding the property of your dreams is just oh so easy. Alternatively, contact us here to receive a portfolio of homes via email or to arrange a viewing appointment in the Belek area.